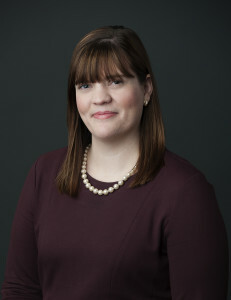 Kathryn L. Harrison joined Campbell & Levine in 2010. Katie’s practice is focused on the representation of debtors, creditors and trustees in Chapter 7 and Chapter 11 cases. Katie represents both businesses and individuals in all matters related to insolvency and restructuring. She also has experience representing clients in a variety of bankruptcy and insolvency litigation matters, including fraudulent transfer and preference actions. Katie also represents closely held businesses, including start-up companies, in general business matters. Prior to joining Campbell & Levine, Katie was a law clerk to The Honorable Maurice B. Cohill, Jr. in the United States District Court for the Western District of Pennsylvania. Katie is a frequent lecturer on bankruptcy matters.